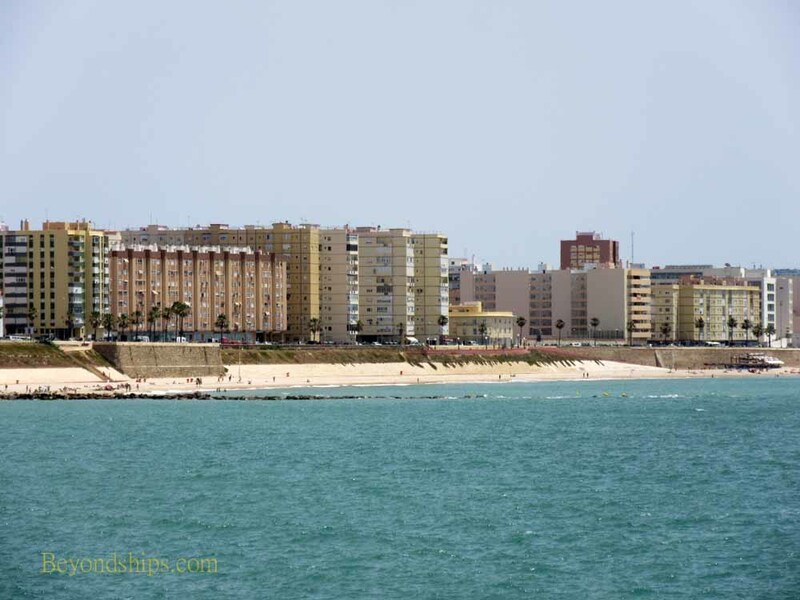 Located in southwestern Spain, Cadiz is the capital of the Province of Cadiz, part of the Andalusia region. It is an ancient city, dating back some 3,000 years, with a rich cultural heritage. However, it is also a modern city. 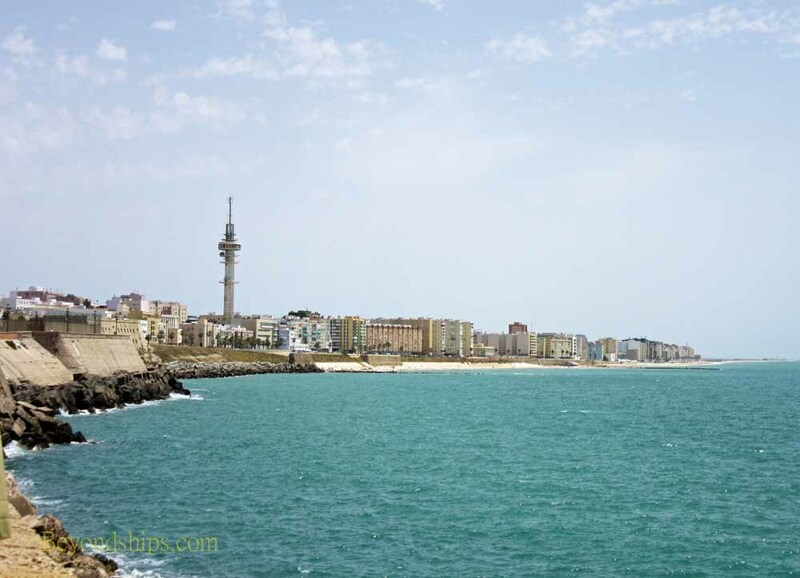 Cadiz is on a narrow peninsula, 1,200 by 1,800 meters, jutting out into the Atlantic. More precisely, the geological formation is a tombolo, an island connected to the mainland by a narrow sandbar. As such, physical space is limited. At the same time,, the sandy soil makes it difficult to build upwards. Consequently, the city has a low profile dominated by its historic buildings. The city's historic section, Casco Antiguo, is characterized by narrow winding streets and broad plazas. It is located just outside the gates of the cruise port. Cadiz is also an easy jumping off point for day trips to Seville and to Jerez de Frontera. It is likely to be sunny when you visit Cadiz. The area has 300 sunny days encompassing 3,200 hours of sun a year. The hottest months are July and August. Most people in Cadiz speak Spanish. However, those involved in the tourism often speak English as well. The local currency is the Euro. Credit cards are widely accepted. Above: Cadiz has a number of popular beaches. 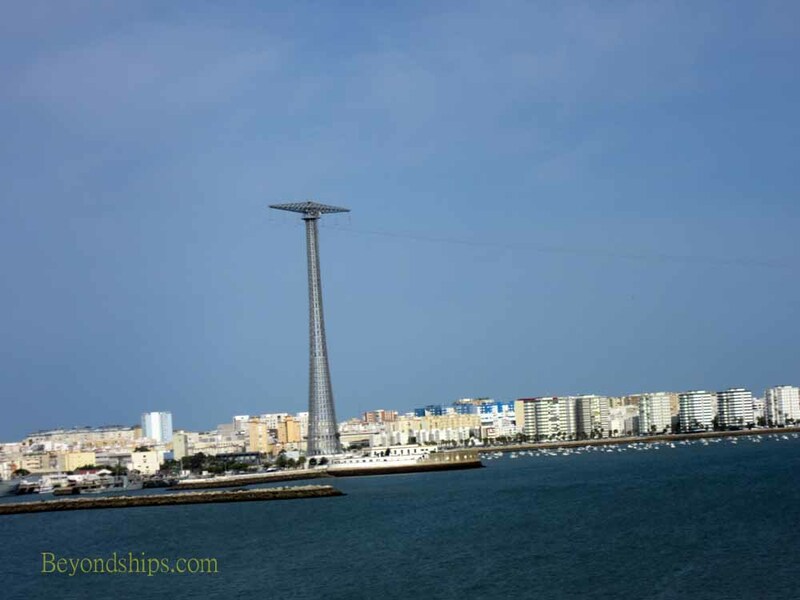 Below: Electrical power comes to Cadiz from the mainland via giant pylons that tower over the city.